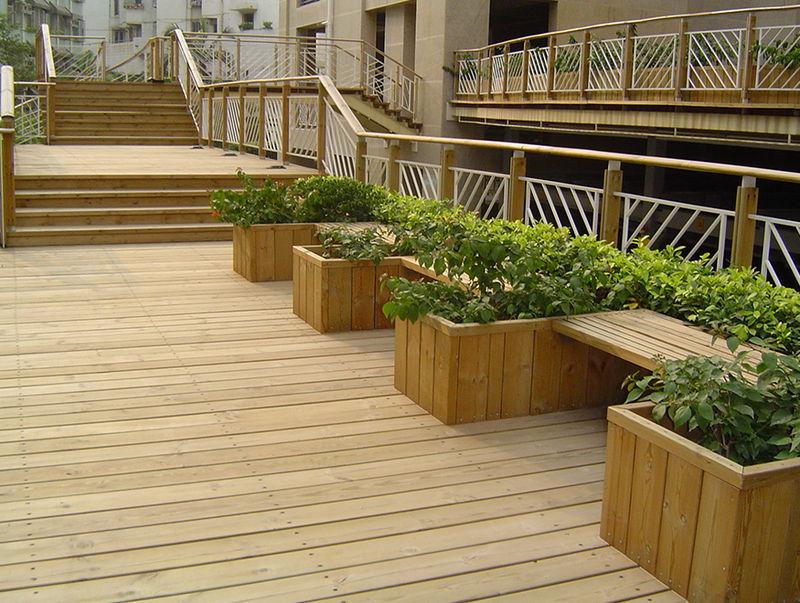 Our decking is impregnated in Finland after the Kiln drying treatment. 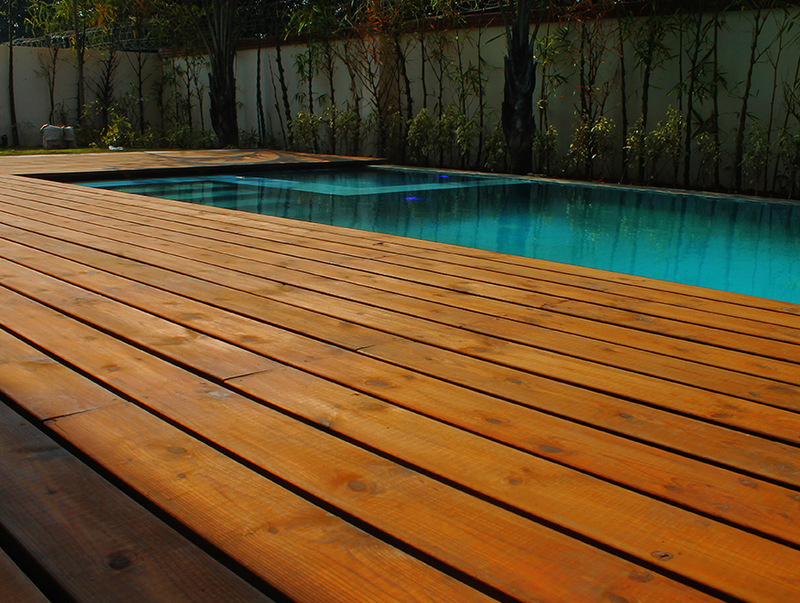 Impregnation is done using Environment friendly wood preservatives that makes every piece of deck more durable and resistant to harshest weather conditions. 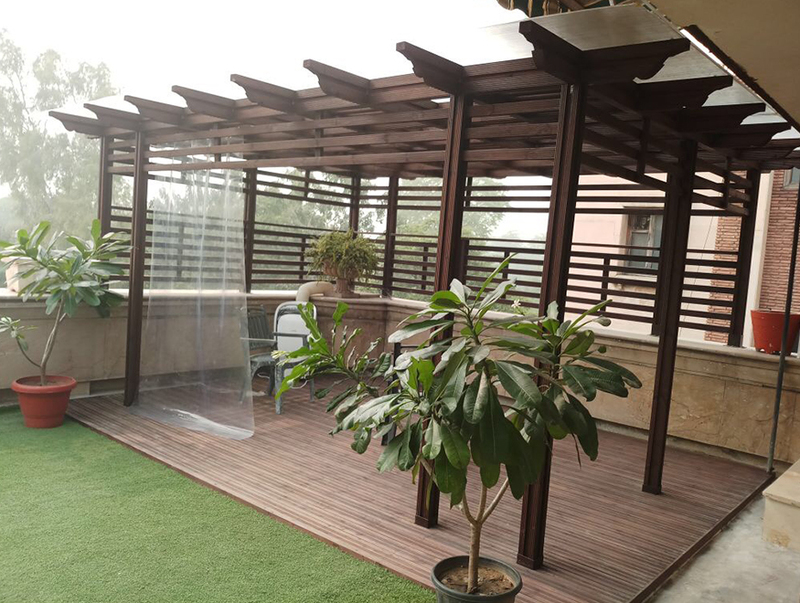 Wooden deck blends perfectly with pergolas and gives a sense of warmth. Moreover, it is resistant to scratches so you may put cane or any other outdoor furniture on top of the deck for relaxation. Of course, one walks barefoot near Swimming pools. So, lets use something that’s less slippery than tiles and less warm than marble or any other stone. 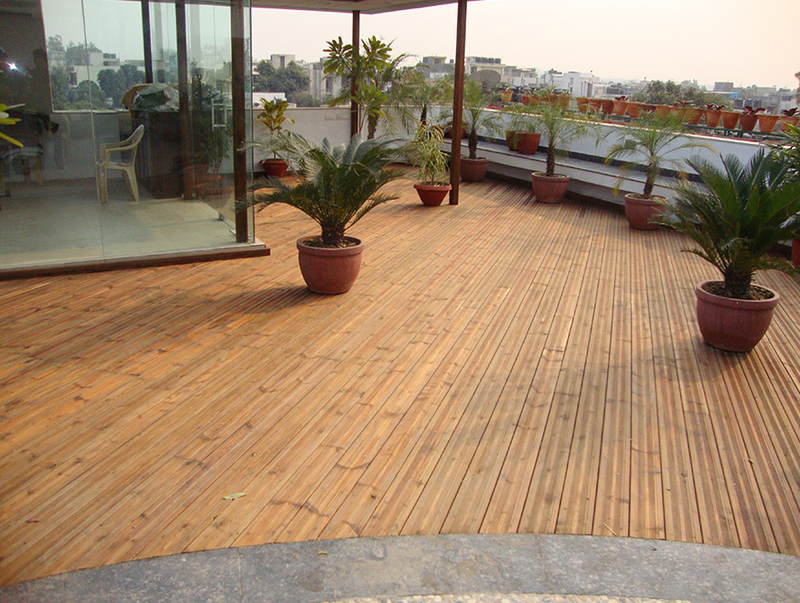 We have designed our decks in such a way that it blends with your foot while you walk barefoot on it. As a cladding options, it gives contrast to the mundane light (cream) color paint used in the facade these days. Not only this, it also adds as a barrier between sunlight and your wall. 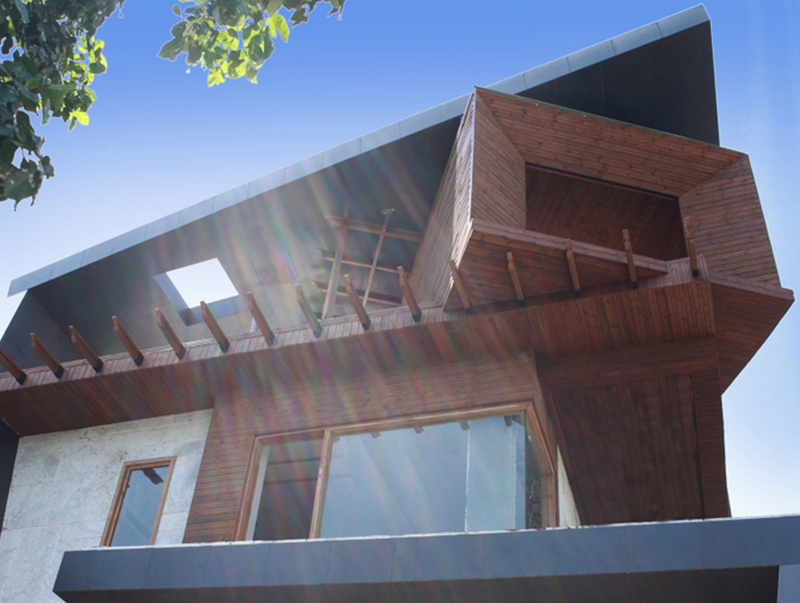 Due to this, your home stays cooler even on hot summer days.